A roller-coaster carriage at a theme park in Scotland came off its rails Sunday, falling onto a ride below and injuring 10 people. A roller-coaster at a theme park in Scotland came off its rails Sunday, crashing onto a children's ride below and injuring 10 people, local police say. Lanarkshire Police said in a statement on Facebook that eight children and two adults had been confirmed injured and an investigation was under way. They did not elaborate on the nature or severity of the injuries. 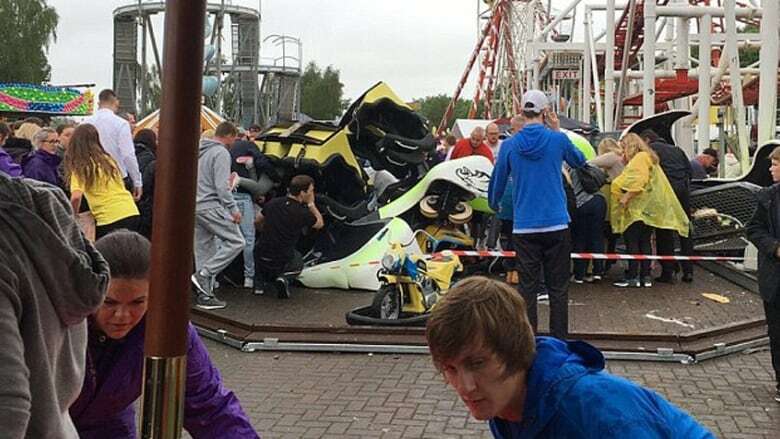 The accident took place Sunday afternoon at the M & D's theme park at Strathclyde Country Park in Motherwell. "A serious incident occurred at M & D's today involving the Tsunami roller-coaster. We have all emergency services on site to assist. The theme park is closed until further notice," a park spokeswoman said. 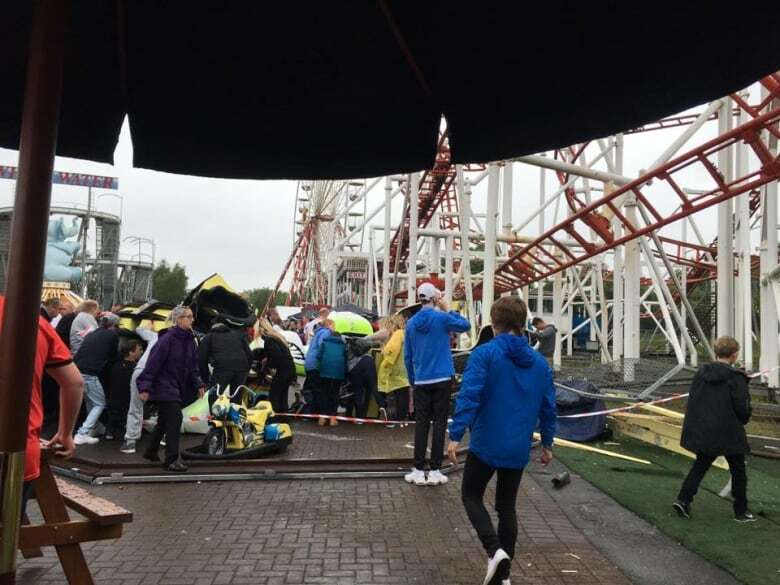 Police Scotland Chief Inspector David Bruce told reporters at the theme park that five gondolas on the coaster detached from the rails as they rounded a bend, struck the ride's main structure and fell about to the ground. The ride, which can reach speeds of up to 64 kilometres per hour, is billed as Scotland's only inverted coaster in which gondolas carrying the riders run under the track. The Scottish ambulance service earlier said six ambulance crews, a special operations response team and a team of emergency doctors had been sent to the park to respond to the incident. Pictures on Twitter showed people trying to help those trapped in an upside-down carriage.